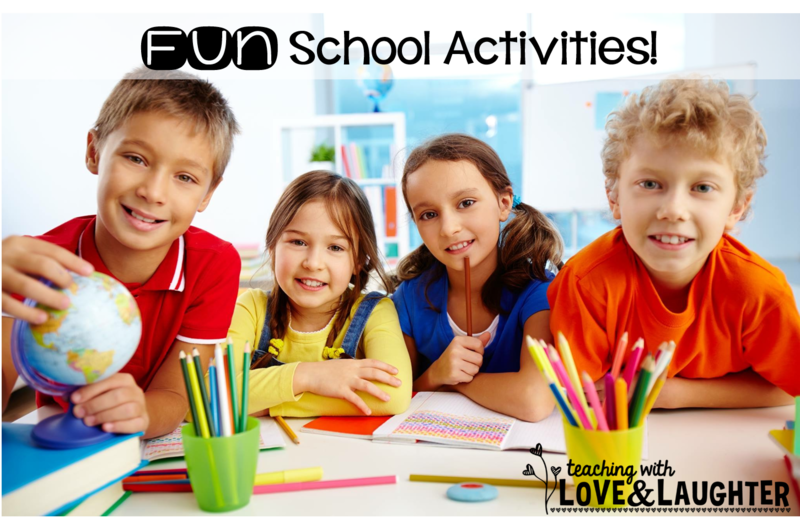 Teaching With Love and Laughter: Fun School Activities! 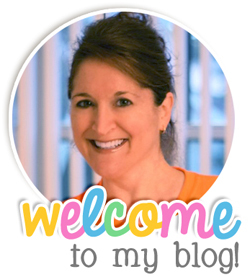 I am linking up with Freebielicious again, and this time, it's Fun Friday! Time to talk about all the fun things we do in our classrooms. I went through thousands of my pictures from the past few years of teaching, and grabbed a few that show some of the ways I keep it exciting in my classroom. 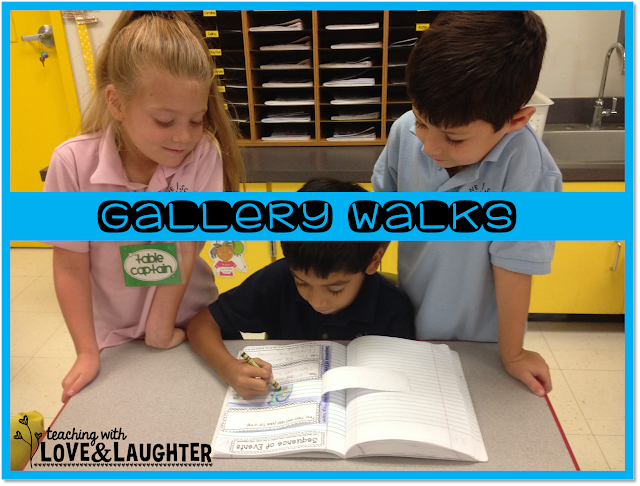 The children love to take gallery walks. Once students have finished a whole group writing or interactive notebook activity, they are allowed to get up and walk around the room, looking at everyone's work. Whenever learning can be turned into a game, we will play it! While the students are learning and practicing important academic skills, they are also developing and strengthening important social skills, like patience, sharing, problem solving, and getting along with others. 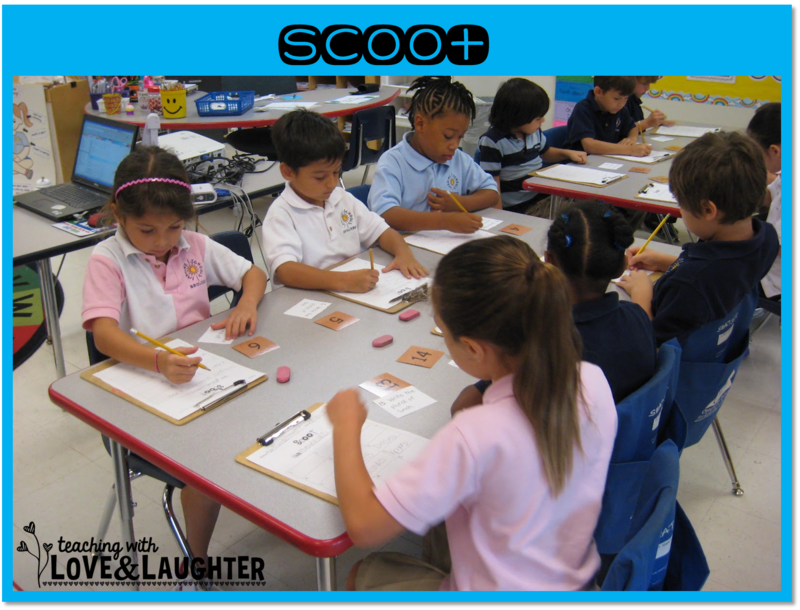 Scoot keeps the children moving and learning and completely engaged. In this picture, the children just scooted to the next chair. This past year, we played without chairs, and it was even better. Nothing beats good old collaboration! 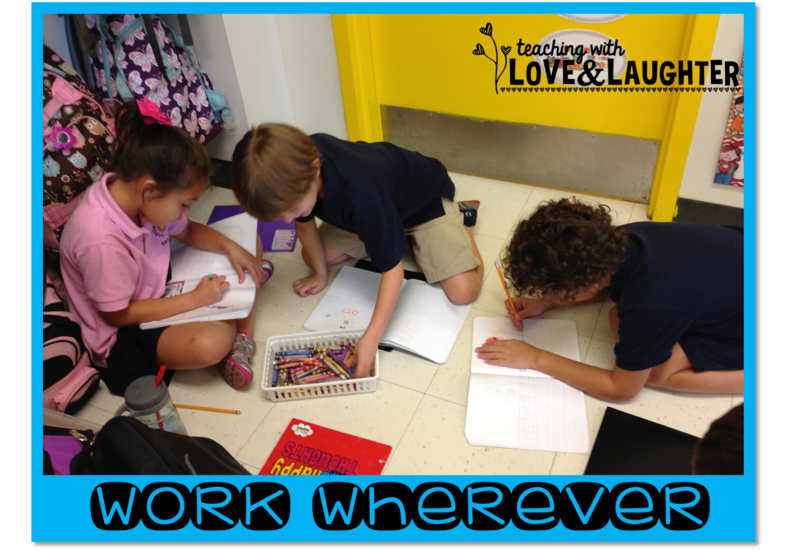 My students LOVE to work in small groups and if we don't do it every day, I'll hear about it! The moment the words, "we're going to work in groups..." come out of my mouth, they're already plotting who they're going to work with. Why sit in a chair to work when you can sit on the floor, under a table, or lay out on the carpet? For most activities, I let the children choose where to sit. Within reason, of course. Children love to make their own decisions and where to sit is just one of many they enjoy making on a daily basis. Some still choose to sit in a chair, but many like to work wherever they are most comfortable. 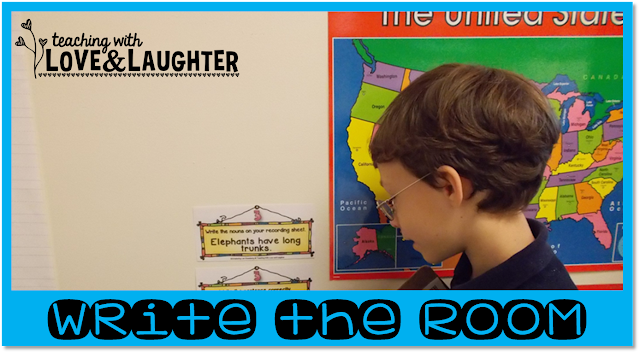 Write the room is a favorite in my classroom, year after year. Once again, it gets the children moving and always keeps them engaged. So, these are just a few of the ways learning can be lots of fun. Most involve collaboration and movement. And that's they way I like it! Who wants to go to school and sit and work alone all day? 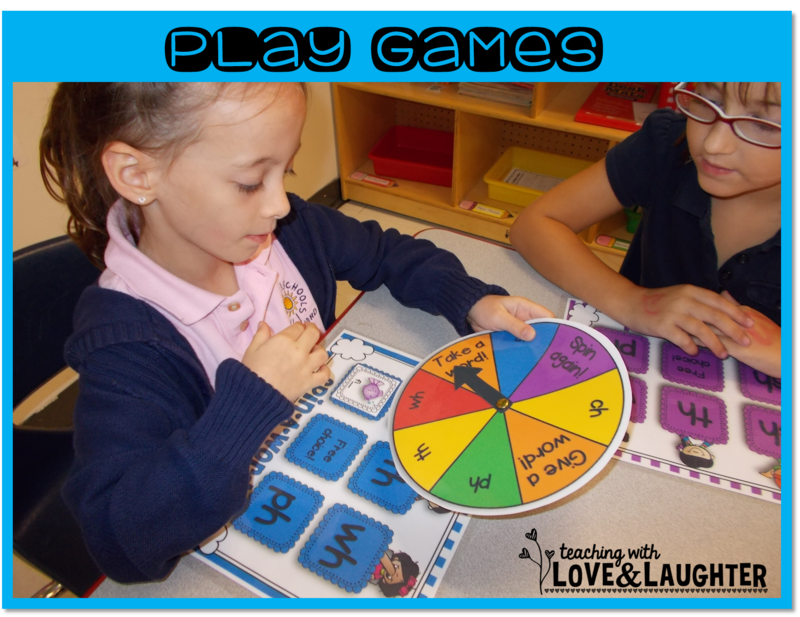 Now, head on over to Freebielicious and link up and/or read all the other ways to make learning fun! Oh, I bet they need to move as much as the little ones! Sounds like we base our teaching styles from the same principles. I'm all about making it fun and entertaining. I turn just about every activity into a game. Happy to find a like minded soul. Have a great new semester. Here's to fun and excitement! Hope your new school year is filled with both! You bring so much fun to your classroom! Great pics and great blog post! I did a bit of "work where you want" last year with my Grade 1/2 class, and amde a huge pile of floor cushions to help with that, but I plan on doing even more this year. I convinced my principal to let me scrap (store) the desks in my class in favour of tables (two horse shoe and some singles) with chairs, and I plan to give the class even more freedom this year when they are doing individual and group work. Large and small group instruction will be at the horseshoe tables or the carpet. I'm not assigning any "seats" at all - we will sit where we need to for the task at hand. Wow! Teresa all this sounds wonderful! Have a super new school year! MEGA BTS $200 TpT Giveaway! Interactive Notebooks in Kindergarten? You bet!